With Diablo 3 mere weeks away, dungeon crawler enthusiasts may be a little focused on keeping their eyes on that prize - but let's not forget that there will still be other dungeon crawlers coming out this year. 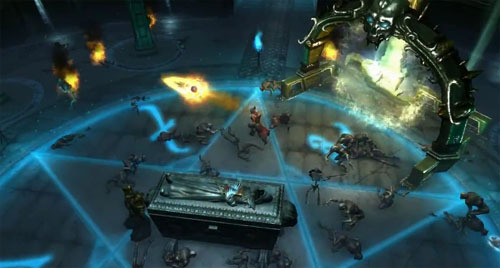 One such is R.A.W (Realms of Ancient War), which will happily be coming to consoles as well as PC. This is likely great news for players who may be bemoaning their luck that Diablo 3 will only be launching this month on the PC. Developer Wizarbox's latest video focuses on the wizard class, showing off his prowess over the elements. R.A.W will be coming to XBLA, PSN, and PC sometime in Q2 of this year with 2-player co-op.